The Department of Public Health and Preventive Medicine (DPHPM), an accredited Council of Education in Public Health (CEPH) program of public health, invites applicants with expertise in Health Policy & Administration for a full-time Assistant or Associate faculty position. The successful applicant must have at least a doctoral degree from a recognized institution in the field of health policy and administration and have experience relating to the delivery, quality and cost of health care to populations. Further, the successful applicant should have clear evidence of a productive record of research publications as well as a demonstrated ability to secure external research funding and participate in major research studies. He or she must also have demonstrated competence as a classroom instructor of multi-cultural graduate students including a major cohort of students who are American. Evidence of ability to teach health policy and management, policy analysis, decision making, and health economics would be an asset. Primary responsibilities for this position, therefore, include teaching graduate courses in Health Policy and Management; conducting independent research; advising and mentoring graduate students; and participating in service to the department, university, community, and field. The DPHPM is the only CEPH accredited MPH program in the Caribbean region. The successful candidate will be expected to find and nurture opportunities for collaborations throughout the Caribbean region and to be able to work with many disciplines and community partners. 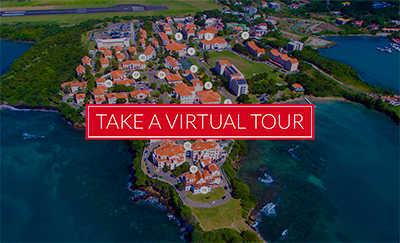 The DPHPM at St. George’s University is located in the English-speaking island state of Grenada, a pristine and beautiful Caribbean country. Salary and rank will commensurate with qualifications and experience. Some of the benefits associated with employment include competitive salary with yearly cost of living increases, generous vacation package, non-tenure track system, paid sabbatical (after 6 years of employment), access to childcare, healthcare and veterinary facilities, and generous conference yearly attendance allowance.